Red rose symbolizes passion and a Basket of Red Rose represents your unconditional love. 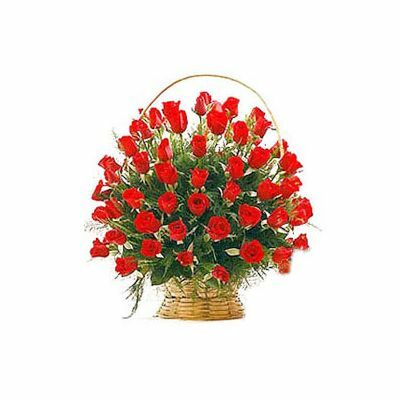 Send roses bouquet online and enchant your loved one with their beautiful color and attractive fragrance. Our expert florist has arranged 50 red roses in a basket especially for you. Let our fresh blooming red roses whisper the words of love for you. 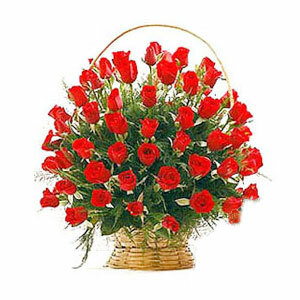 This fascinating Basket of Red is an ideal Anniversary Gift and you can also send it your sweetheart on Valentine’s Day. You don’t even have to wait for an occasion just send flowers online to tell that special person in your life how much you love him/her.